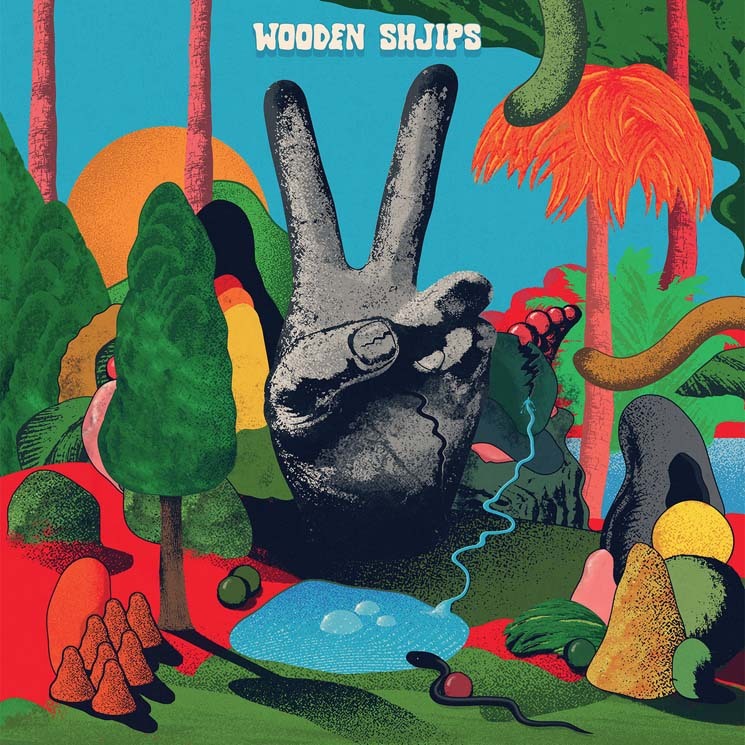 Psychedelic rockers Wooden Shjips have been under the radar since the release of Back to Land in 2013 and now return with new album V. Deeply zoned-out, overlapping delayed guitars, and a relaxed vibe make V. worth checking out, but it never makes the leap from easy listening to energetic. Bright backwards psychedelic guitar reels are the strong aspect of the album; "Red Line" and "Staring At the Sun" have just that, but Wooden Shjips take a softer, more meditative approach than what we are used to hearing. The effort to break away from their hasty sound is refreshing, but the more easy-going, smooth style projected on all of V. makes the experience generic, underwhelming and stagnant. The majority of the album feels like a bad trip and you're just waiting for it to end. If you manage to make it to the last track, you're rewarded with the strong send-off "Ride On," which stands out for its slow tempo, drawn-out vocals and dreamy guitar.